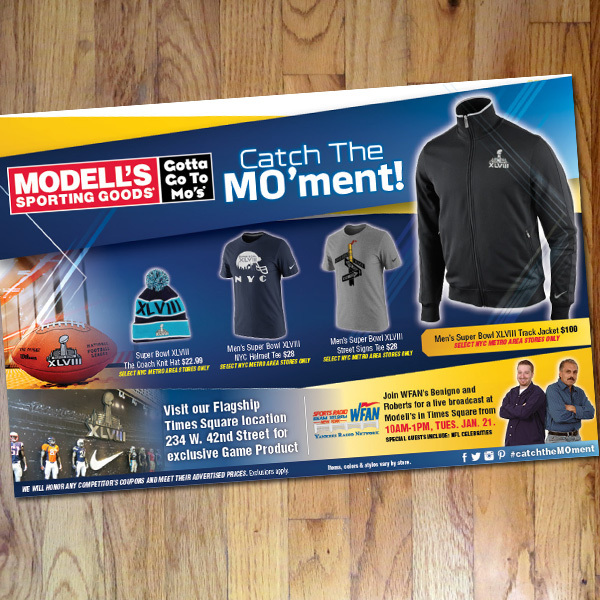 One of the first projects at Modell’s in early 2014 was working on the graphics for Modell’s Official In-Stadium Retailer of Super Bowl 48. 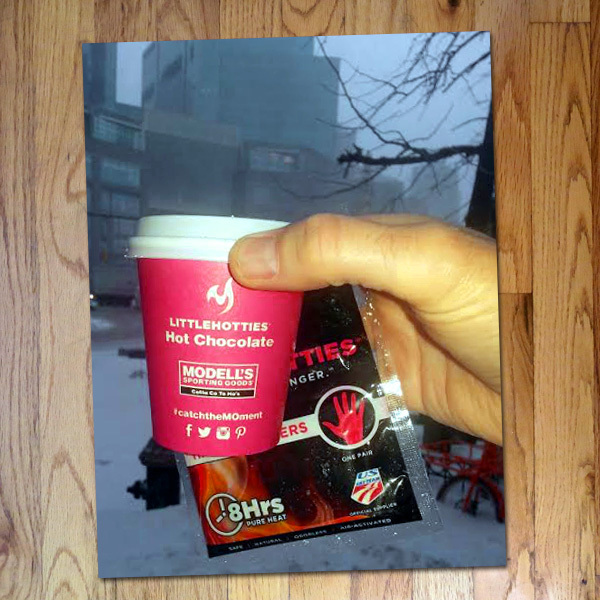 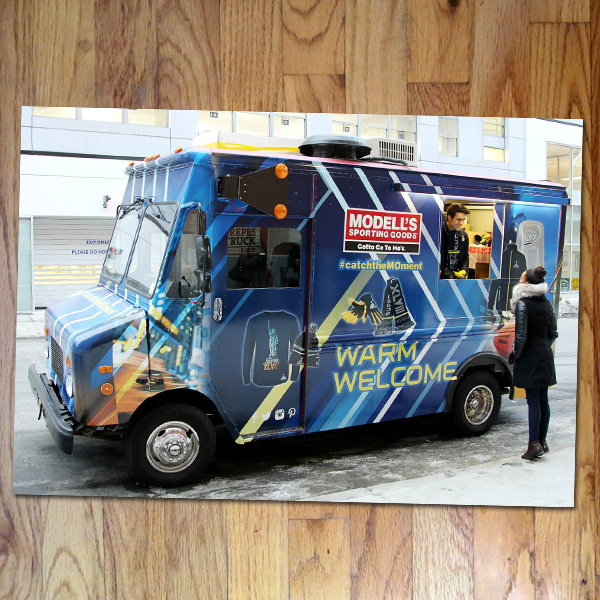 Using graphics provided by the NFL and the official licensed gear being sold at Mo’s, I was the creative director overseeing the design of the campaign #catchtheMOment that included ROP advertising, circulars, OOH, POP, social media graphics, e-mails and the funnest project…their guerrilla marketing venture using a food truck for free hot chocolate and hand warmer giveaways along Super Bowl 48 mile in New York. 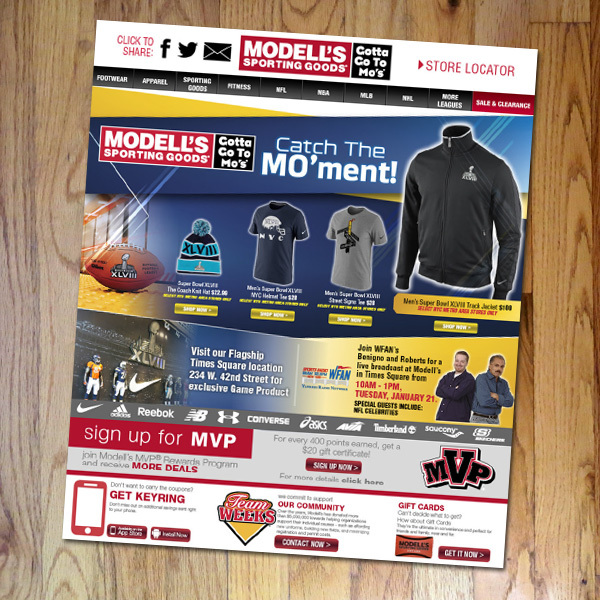 Here’s examples of several of the marketing channels used during the campaign. 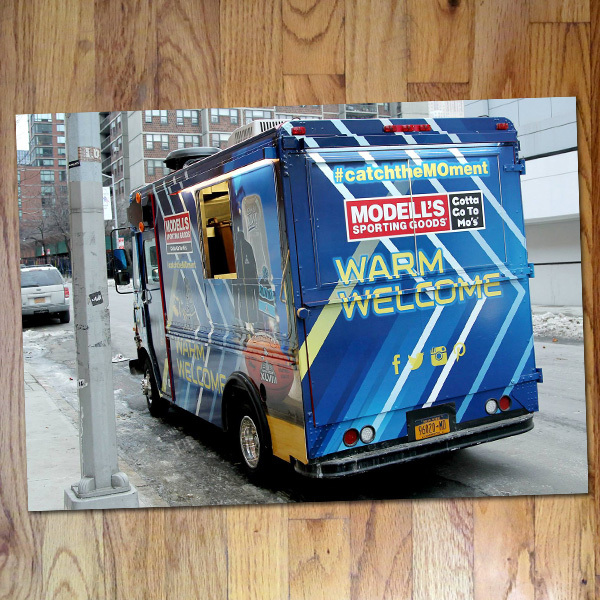 The campaign included special player appearances during the co-branded giveaways with Modell’s Little Hotties and the NFL. 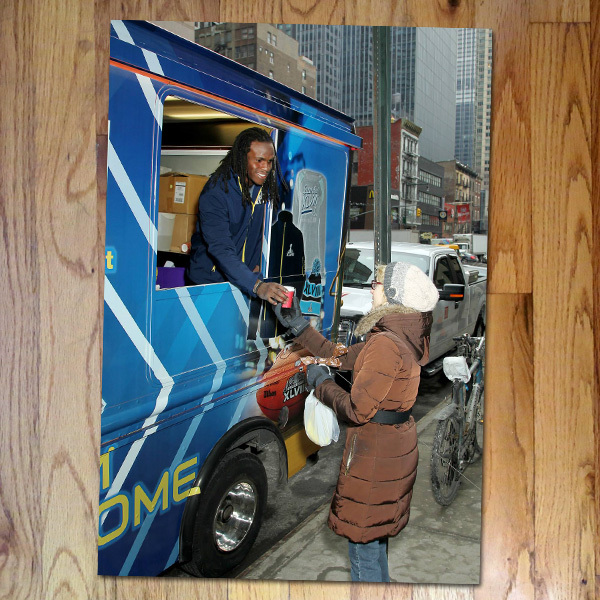 One of the highlights was the guest appearance by the Kansas City Chief’s running back Jamaal Charles.